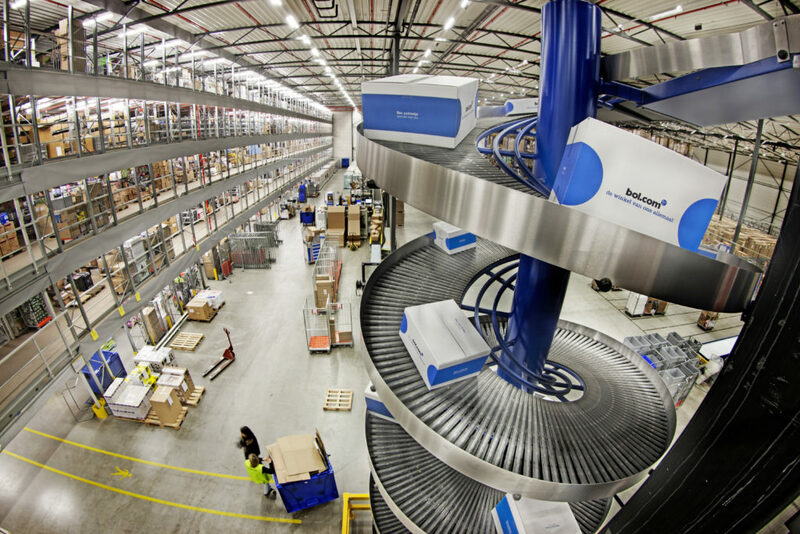 Bol.com is the leading online warehouse in the Netherlands. According to research published in 2015 it is the strongest retail brand with the highest expected growth in the Netherlands. It can be compared to the internationally operating Amazon. While Principelle The Netherlands has been selling consumer products (Pelsan, Celan) through private customers online for years, we are proud to present that Bol.com has recently included Celan in their standard inventory. This means that Bol.com takes care of logistics after Celan is ordered, instead of forwarding the order to Principelle The Netherlands. For customers, this means they can order Celan until 23:59 and have it delivered the next business working day. Even better, customers can choose delivery in the evening and even same-day-delivery. Principelle is proud to work with esteemed distribution partners like Bol.com. In every country we operate, we are keen on developing such partnerships with distribution partners. Are you interested in working with Principelle products? Feel free to contact us. The EWMA 2017 conference in our capital Amsterdam was a true home game. This one picture only shows part of the total crew involved. 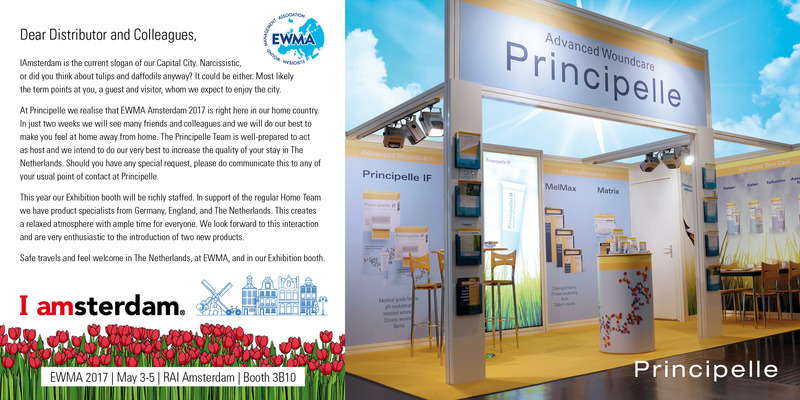 With Staff support from AllweCare in The Netherlands and several colleagues from Germany and England, Principelle came out well-prepared. Every effort was made to accommodate friends and colleagues from Slovenia to Lebanon, and from Italy to Denmark. Logistically everything went smoothly and we believe all have enjoyed the congress and stay in the city. Many delegates came to our booth taking an interest in current products and new developments. With product specialists at hand, no questions remained unanswered. As with all hosting, dividing time to each and everyone is challenging. With all that extra help it worked out fine. We are confident that you enjoyed it as much as we did and hope to see everyone next year in Krakow for EWMA 2018. Every year, a member of the Principelle Team is a delegate at Arab Health in Dubai. This year, our colleague Dr. Mohammed Yasin – director of Principelle UK Ltd – was present on our behalf. In 2017, a key focus is to develop business in the GCC countries (for example in UAE, Saudi Arabia and Kuwait). Naturally, meeting the Distributors in these countries was one of our top priorities. 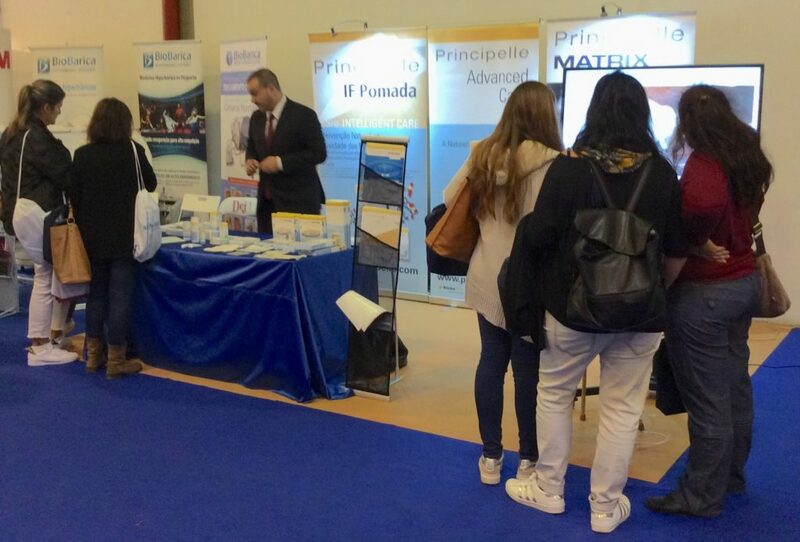 The Principelle Team thanks all Distributors who were present at Arab Health and able to meet with our employee(s). 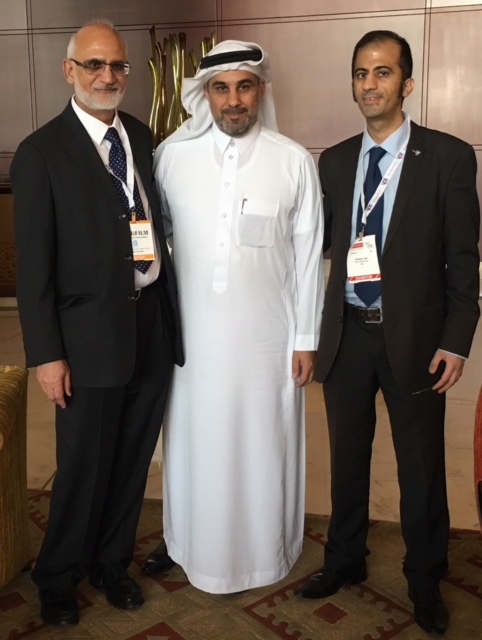 In this picture: Dr. Mohammed Yasin (left), our Distributor Dr. Al Mesned – PharmaZone, Saudi Arabia (middle) and Dr. Mudather Yasin (right). Thursday and Friday November 3-4 is the annual meeting of the Portuguese Wound Management Association (APTF). 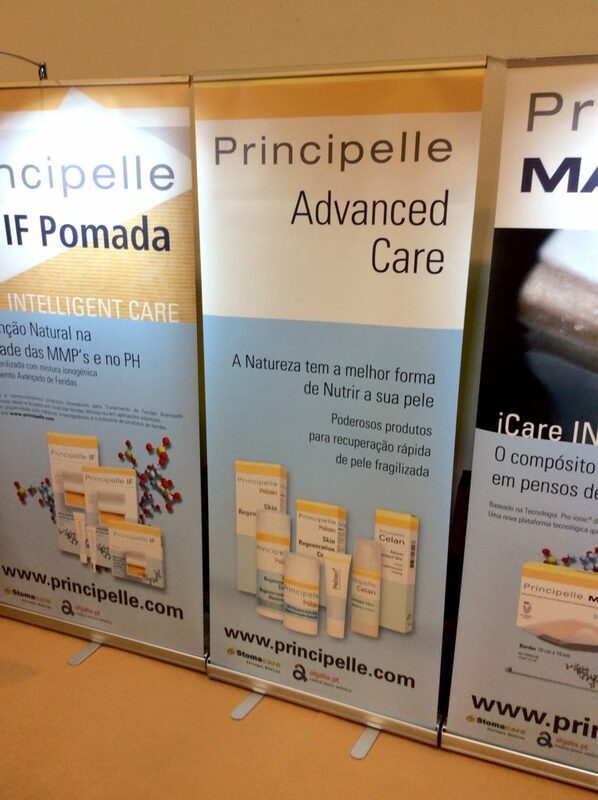 The event is held at the Porto Congress Center, very close to Stomacare, the exclusive Principelle Distributor for Portugal. It has all the characteristics of a home match: many visitors knowing the Company, visitors cheering on their home team, winning expectedly. That is not to say there is no competition. Good to see that colleagues in the field are also here offering good products, widening the clinical choice. Lara and Ernesto, with Pedro as Team chef, did very well this morning when just after the opening they were flooded by interested nurses and doctors. It was somewhat unexpected, yet very nice to see. 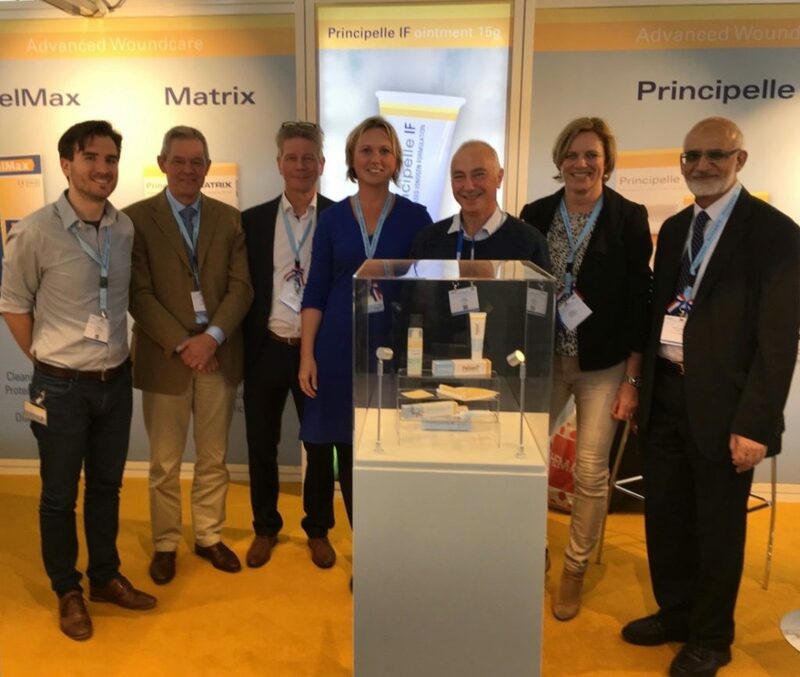 It is fascinating to see visitors at each of these national congresses being so interested in the kind and quality of Principelle products. In the face-to-face meetings one gets very close to the patients these specialists offer care to. Some of the clinically more challenging cases were discussed and treatment options explored. Conclusion: Good to be here!